Have a dip in our swimming and wading pool that is overlooking the sea. Keep fit and healthy. Grease those elbows and enjoy a game of tennis. Enjoy a game or two of futsal at our outdoor futsal court which opens till late. Fully equipped with Play Station gaming consoles, Foosball table, Darts and a Pool table. Adult or children alike, our Middlesburg Games Lounge is set to keep you entertained. Choose from an array of activites: Ride a jetski, paddle a kayak, enjoy a banana boat ride or even a cruise along the Malacca Straits. Kindly contact our friendly staff for arrangements. Enjoy a game of beach voleyball on our beautiful sandy beach. Looking for the best spots to fish? Kindly inform our resort staff for such arrangements. The Regency Tanjung Tuan Beach Resort is equipped with WiFi internet capabilties at selected areas. Rest assured as you sleep with our 24 hours around the clock security. Located on the Ground Floor at our Block A building, our kiosk is equipped with your basic amenities. 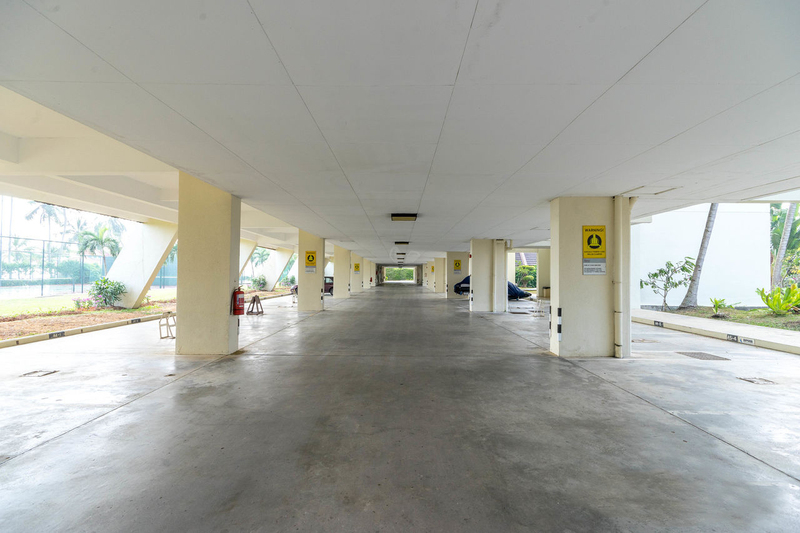 The Regency Tanjung Tuan Beach Resort is equipped with both indoor and outdoor parking facilties.